Average yearly, Cần Thơ city Party Government Office bloc Party Committee admits more than 200 Party members. In order to well develop the Party members in new situation, in the morning on July 25th, Cần Thơ city Party Government Office bloc opens the 2nd course to cultivate their awareness on the Party 2016. 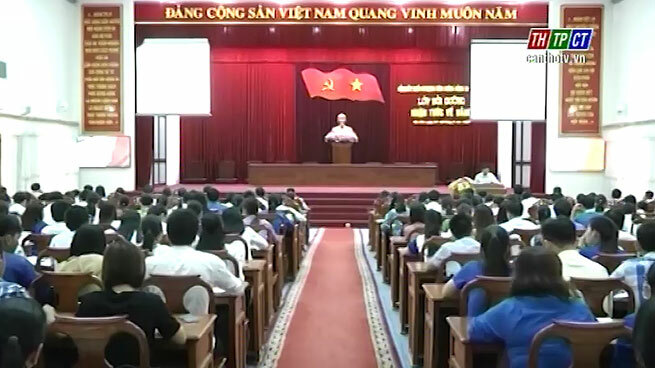 There are about 500 students, officials civil servants, union members under departments, sectors, agencies of the city under Cần Thơ party-government office bloc committee. The class takes place during 3 days from July 25th – 27th. It’s in order to raise awareness on politic-profession level, morality, lifestyle in the job to build and protect the nation, serve for people. After the class, learners write essay to receive certificate./.